The street-fighting arm of the Democratic-Socialist Party [read: Antifa] seems oblivious to the trouble they are stirring up. They are like kids beating a hornet's nest with a stick to (a) 'see' what happens, and (b) if it will be 'different' this time. - Given that they are funded, organised, and supported by some of the most clueless people on the planet [read: Democrats, Socialists, and all flavors of "progressives"] this should be no surprise to anyone. Their top 'leaders' have an idea of what will happen, which is exactly why America will soon see a renewed push by the Democrats (C) for gun control. 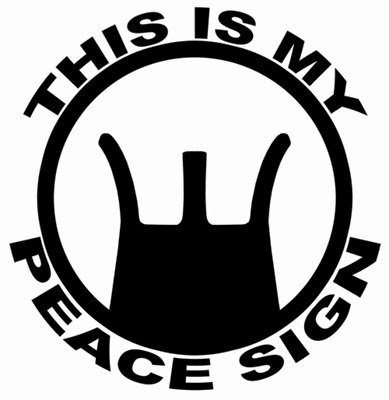 - There are very many Americans who will not accept the tyranny of an imposed 'Socialist Utopia' in exchange for their Liberty...and attached is their "peace sign." 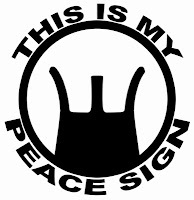 This is MY "peace sign" too.